Diablo 3 is getting pretty old. A lot of us who spent so many hours on the game either skip seasons or just check back in every now and then for some great gameplay and then drop it pretty quickly. Considering how old the game actually is (going on 7 years now) with no major updates, it's still impressive how many people actually play. Today I wanted to talk a little about how the upcoming Season 17 or "Season of Nightmares", which is what it will probably be called, is getting me all hyped up for D3 once again. I feel it's always good to know who exactly is writing these types of articles, as it's mostly just one person's opinion and viewpoint on the game, so I figured I'd just write up my so-called resume and background with Diablo so you can get a good idea of what angle I'm coming at this topic from. 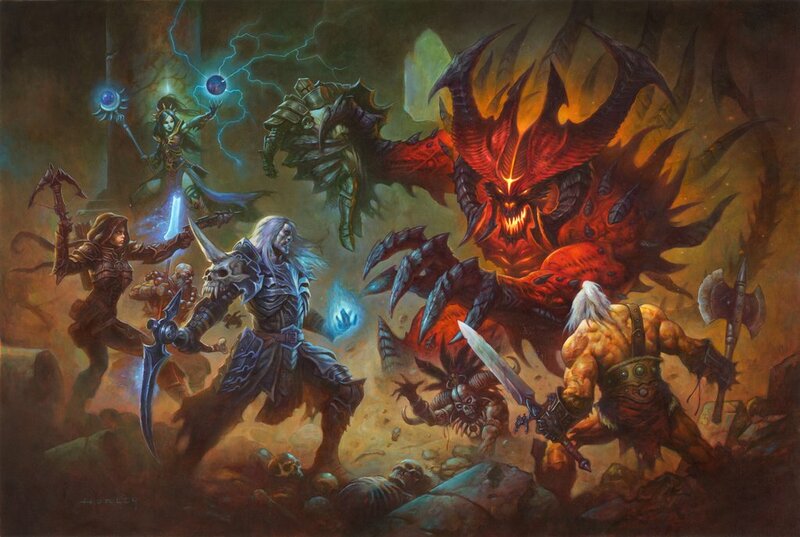 Action RPGs or, more accurately, Diablo-likes, are my absolute favorite genre. 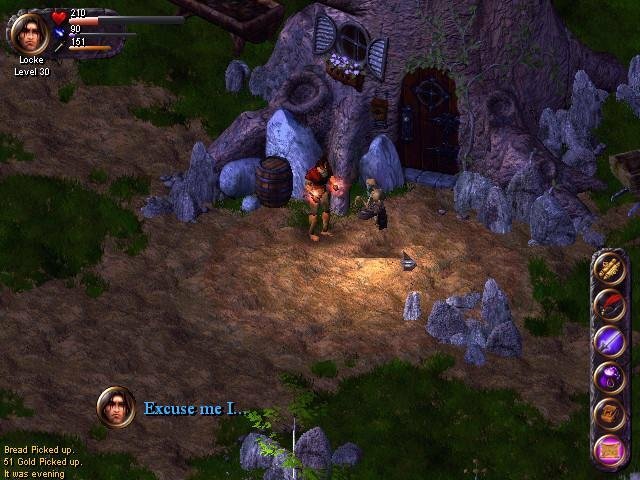 Ever since I dived into the Diablo 1 demo that much was very clear to me and I've since played all manner of similar games, from old and relatively obscure ones (Blade and Sword, Revenant, Hexplore, Nox, etc.) to newer and even more obscure ones (Devillian, MU Legend and most recently Lost Ark - ok that last one isn't really obscure as much as it is "difficult" to actually get to play). My favorite one would have to be Diablo 1, despite the fact it was surpassed in all aspects (except for the atmosphere *cough*Halls of the Blind*cough*). You never forget your first. But what about Diablo 3? The other big issue people want to hear about when deciding whether to trust your judgement/opinion is how much Diablo 3 disappointed you and how thoroughly it ruined your childhood. Well, unlike the hyperbolic side of the internet I'll have to disappoint and say that it didn't really. Sure there are many flaws and mistakes the game had and still has, but the one thing it got absolutely right is the thing it HAD to get right - and that's the combat. The core combat loop is THE most important aspect of a Diablo-like, and D3 absolutely nailed it, to the point that it's ruined combat in other games in the genre for me, probably forever. Torchlight 2 got close, some of the Asian MMO/action RPGs were in the same ballpark and Lost Ark actually managed to surpass the D3 combat, but that game has some issues with its lackluster enemies, as it's more of an MMO than a straight-up action RPG, so it also loses. The other thing D3 got absolutely right is the Legendary system. Reaper of Souls, or rather Loot 2.0, salvaged a very poor itemization system with the introduction of game-changing Legendary items that dramatically altered your playstyle as you got them. Subsequently though, and quite unfortunately, we moved on to a more set-based item economy where the only correct move was to gather up the current best set for your class and accessorize it with a couple of additional legendaries in the slots and cube. Then it was on to "which set got a 5 billion percent buff this season, ok let's play that". All of this leads perfectly into the upcoming Season 17 with its innate buff that gives us the Legacy of Nightmares set, allowing us to use ALL the legendaries we could ever want, even without using or finding the two set rings previously needed! In case you don't know the specifics, the set gives you a 750% damage and 4% damage reduction increase for each Ancient item you have equipped. So, is this simple buff really that big of a deal? Yes. Yes it is. I'm incredibly excited to come back after a pretty long pause and be able to actually get creative with my builds and not have to feel like I'm playing in an incredibly un-optimized way and slogging through lower Torments and GRs. Now sure, we'll have to farm up those Ancients first, and obviously we'll be using actual sets to do that, but considering we're also getting three more Torment difficulties I'm pretty sure that won't take long at all. The real delight for me in this season will be actually making builds of my own. Since you'll be dependent on Ancient drops for a while, that's the perfect time to experiment with various legendary powers we've been ignoring for a long time. 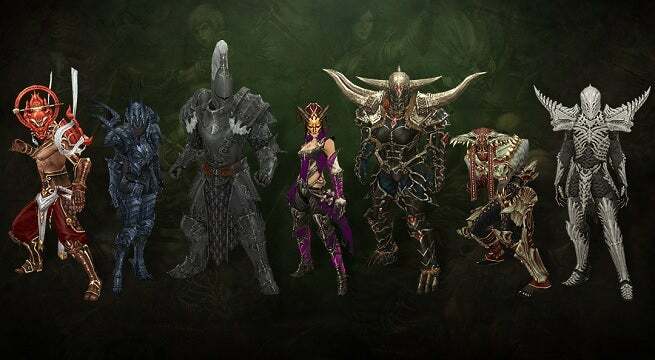 One of the best times of my Diablo 3 career was actually in the pre-patch, when Loot 2.0 arrived and some of the new legendaries were added. I had a great Monk build in mind and eventually got it to work using Cyclone and any and all legendaries to passively deal damage to everything around me. From Sweeping Wind, Dashing Strike, Inner Sanctuary (and no spender other than Cyclone) to Schaefer's Hammer, Thundergod's Vigor, Death Watch Mantle, Strongarm Bracers, Bul-Kathos's Wedding Band, Moonlight Ward and the literal crown of the build, Andariel's Visage. (I am not sure if these were the exact ones I used, as it's been a long time and some of them might not have actually been released yet, but this is as far as I can recall). Now this wasn't necessarily the best build, or perhaps even a good build at all, but it was possibly the most fun I had with one in D3 ever. I thought it up myself as I ran across various legendaries and their powers and then started fitting in new and better combinations in there to fit the idea. When sets arrived/were buffed and were the only way to play, this quickly went away, and even though you always COULD think up new crazy build ideas, somehow most people don't and stick to what works. Unfortunately, "most people" includes me as well. There's just something wrong-feeling with going down to a much lower Torment or GR after you've been blasting through the maximum with your +15,000,000% to whatever set. When to Switch from Sets? So as you can imagine, the Litany of the Undaunted / The Wailing Host Legacy of Nightmares buff that we're getting (except it's 750% damage now, not sure why the tooltips are out of date) is just the perfect way for me to get back into the game and get that sense of exploration back as well. While there are plenty of guides out there as to what the best LoN build is, even if you do decide to go that route you can still have a lot of fun while you're trying to find those perfect pieces, and perhaps you'll find an incredibly fun build that's just right for you along the way. For me, the key breaking point will be when exactly to switch to the LoN build. What I mean is, as we'll be using sets to farm those Ancients, since they aren't THAT common just yet, there will come a point when you have like 4-5 Ancients with ok-ish powers, and then it becomes the same old frustrating question: do you switch to the probably sub-optimal and weaker, but possibly/definitely more fun build (since we've been playing these sets SO long now, any new build will be more fun by default) OR do you keep farming with your amazing awesome 50,000,000 million billion% increase set until you have all or at least most of the ancient pieces you want. I really, really want to switch as soon as possible, while also being able to continue farming ancients with that new build at a not-so-terrible rate, but I know that dam siren's call from the set will be strong and keep pulling me in to be "optimal". I've really started to hate that word, "optimal", btw. When exactly did it start outweighing fun? It really does showcase the treadmill/Skinner box nature of these games, and I for one would prefer that illusion not be shattered quite so frequently thank you very much. The addition of those 2 ring slots, as well as the new legendary powers coming with Season 17 only adds to the variety the game has been lacking for a while now and I'd say it really is the perfect time for anyone that's been away from the game for a while to come back to it. Even though the season hasn't even started yet, I can only pray Blizzard decide to keep this modifier active after it's over, as it's a perfect fit for Diablo 3 and truly brings out the best aspects of the game. Season 17 is expected to arrive sometime mid-May, as S16 ends on May 12th, and if you want to check out everything that's coming with the new season, you can check out the patch notes here. So, what do you guys think of this (imo) significant change to the game? Will you be coming back and does it have you excited for the build possibilities? Will you be using a pre-made optimal LoN build from guides or will you be crafting your own weird little legendary power combos, and do you already have some in mind? Do share! The next Season is a perfect time to come back to the game and here's why. While I am excited to see what builds will surface from the LoN effect with free ring slots (I can see every class benefiting from those slots fairly enough) the ancient gating is just like meh, combined with it being seasonal-only you are now "free to enjoy mindless grind till you have every slot ancient (thus start being 10% as a efficient as with an actual set), now get out there and find those BiS^2 GL to you all!" But then I am just a filthy casual who never really gets every slot ancient even on sets. I graze the top of the leaderboards in the first week and bail without even getting para 1K. I have little say. I am eager to try the PTR though, once the servers are actually up when I attempt to. Absurd PTR droprates will remedy every problem I have. Simple solution? Give the LoN half effect for non-ancients too, this is how you actually get people to try new things instead of "oh I wish I could try that out, but meh, gated." And on top of that: I never had enough space in my inventory. That's why I destroyed lots of items, and ancients too. Because I never imagined being able to use them because sets were always stronger. If we had unlimited space I would have saved all my ancient items - maybe I would have quite a lot to use this build. Then I may be interested in farming some more. I never understood the limited space - where is the harm in giving people as much space as they want? D3 is about loot for fucks sake, let people keep as much of them as they like. Not as much as the developers see fit. Honestly, while I totally understand your issues, there will be easy ancients. The 3 new torments will see SO many legendaries dropping that getting an ancient now will be basically the same as getting a normal legendary was back when t6 was the max difficulty. Do you know anything about droprates of the new torments? If you take GR as an example, there drop more legendaries the higher the GR - but the percentage of Ancient is still the same. Sure, you can farm it, it wont take ages. But my motivation of refarming items is not really high. Here's the thing @WedgeAntilles, even if it's 1 per GR run that's plenty for me. Basically my aim/point in the articke isn't that we'll get the full LoN build ultra fast and destroy with it, it's that EACH new ancient you get adds to your build. Basically I plan to swap instantly when i have like 3 ancients and then every one that drops after that will massively enhance my char and change my build. So it won't really matter if they're relatively infrequent, in fact that might actually be a plus. Because it's the journey to the full ancient max GR farm that I'm looking forward to. Once i get the full set of ancients needed for the perfect build I'll basically stop playing and move on to another class. If you really like combat so much I envy you. Sure I enjoy smoothness of controls and movement but when it comes to endgame... All these builds where we have to run around waiting for 10 sec dmg and even being glass cannon getting 1 shot makes me frustrated and sick. These are broken playstyles, not fun and main issue with the game for me. I prefer to be able to constantly deal damage not rely on some weird cooldown mechanics and be more tanky without risk of getting one shot on every mob. No such problems in other arpgs. That's not an issue of the combat/builds though, it's because of the stupid endlessly scaling GR system. Basically you're either an indestructable god with *filtered* damage or 1 shottable infinite damage dude. It's just a flawed concept and has nothing to do with the actual combat. And I absolutely agree with you the edngame is bad, but that's why it's all about the builds for me, not pushing some pointless GR13034324324. Basically finding a cool and interesting build IS the endgame for me. Once i get it and have fun with it I move on to the next one/next class. People expect too much for a game that has no way of receiving financial gains after it has been sold. For a game with no way for people to financially support this game through microtransactions, Blizzard has been doing an excellent job and have been generous. Some of you really expect people will bills and a family to create you the best game forever and ever when you only pay them like $ 60 up front ? Depending on when you got into d3. Honestly, I 100% relate to this article. Diablo has been an amazing series that I've been involved with since I was a child. And I have a love/hate relationship with Diablo 3 due to how glaring the issues are, despite how fun and addicting the gameplay can be. Much like you, the different legendaries, kanais cube, LoN were my favorite additions to the game due to how diverse and cheesy the builds can be. Don't get me wrong, set items can be fun, but it limits creativity by a good margin and becomes boring real fast. The only set item i really enjoyed was the Monkey King Garb for the monk because you had varying paths to choose from. My only complaint about this season is that the seasonal buff is the exact same as the ring set, if maybe they increased by 250% more as an additional incentive I probably would be back to play the season. But two extra ring slots is not enough. Maybe I'll check it out, but I've exhausted every ounce of creativity I had. This was a great article and refreshing to see due to the overwhelmingly amount of hate the game received after launch. Yea it's been getting really weird with people's complaints lately. It's either unreasonable defense of games because people like them OR absolute blinding hatered based on a couple of good points and then nothing else. Diablo 3 has made so little money after it's initial release it's not even funny. If Reaper of Souls sold even half the number of copies d3 vanilla did, we'd have 3 more expansions already. So basically it's been like 5 years of 0 profit (the Necro didn't make any money, let's be real here) and yet everyone expects levels of quality update that rival games that have constant microtransactions that have had them forever. Now of course lack of funds doesn't excuse any poor game design decisions, but honestly, if this was 10 years ago, no one would bat an eye. How many updates did Diablo 2 get? Thanks. TO be fair some of the criticism at launch was warranted, but the funny part is that it was the WRONG criticism that got the most attention (cartoony gfx etc). The item system was a disaster and the RMAH just made it worse and worse. I remember i was the only one out of my group of friends playing that got his items self-found with no AH, everyone else just shopped cheap upgrades and if they got a really good drop, they'd sell it either for tons of gold (with which they'd buy more upgrades) or cash. But the core was always there and was really amazing. It's just SO sad to me that they didn't do 1-2 more big expansions, they couldn've made a truly amazing game out of it. Nowadays every game only finds its true self after an expansion or two since the base game always caters to the masses and it *filtered* for it *cough*Destiny 2*cough*. Honestly I never found graphics to be that big of an issue. Sure they are not as "dark" and "gloomy" as it's past predecessors, but people have to remember that the graphics back then are completely different, so of course D1 and D2 will have that dark gritty look compared to D3's more polished and brighter look. But yea, at launch D3 did have many many issues. RoS arguably saved the game in my opinion, I didn't get back into D3 until RoS dropped along with the bountiful of large patches that added more and more to the game as time went on. But yet people still complained for the same exact reasons. It's so bad that even when they post an update or create a post on any social media, they can't be helped by getting swarmed by mainly haters who have quit D3 when it first launched and never once touched an RoS era of D3. Man, you have no idea how high my hopes were about the addition of another expansion. I was very convinced and optimistic of a second expansion due to RoS's success but as each year passes by with little to no information regarding the future of one of my beloved games I just ended up disappointed and frustrated at Blizzard. I agree, with another expansion they could have made the game even more enjoyable, they could have fixed more glaring issues, they could have polished the game even further but alas I guess that will not be the case this time around. I would have liked you to have gone more in-depth about why you think the new torment levels coming in the patch to be a good or bad thing. Rhykker for example mentioned he thinks it's a bad thing because there will be less builds that are viable to handle torment 16 (grift 75) and thus discourage build diversity (at least until everyone has their LoN active, I suppose!). But on the other hand, most builds were already able to spam t13 in under a minute and a half; having higher torments to reward with (we can fairly assume although it hasn't been explicitly stated) more death breaths per elite pack is also nice. In the worst case, I guess, there's always the sage set (but that invalidates LoN, but still absolutely worth the offset to farm) buff that doubles DB drops instead of just +1. What are your thoughts on these parts of S17 and does this also play a role in your motivation to come back to D3 for Season 17? Fantastic article, @Starym. I liked seeing your perspective, and I also agree that Season of Nightmares could be the best season yet as it doesn't force you into using Sets and enforcing a specific gameplay style. I really hope they get rid of Sets in D4, because that streamlines the gameplay so much (even though Leapquake is my favorite gameplay style ever). Can't say I understand that logic tbh. I suppose it's one of those "If I'm not optimized for the absolute hardest/best farm thing ever then I won't play my build" thing, but I'm not sure that's that relevant for the majority of the playerbase. Personally I'll simply play the highest possible torment I can with the build I find most fun. Also, with the changes coming to the Sage set (DOUBLE the death's breath's dropped) I feel farming will not be an issue whatsoever on whichever pos-6 torment you choose. Actually, you know what? I'll write up another article going more in-depth on what I plan to do in the season at least in terms of gearing up, maybe outline the many various ways we'll be able to play to get to those optimal Lon builds (which I have to say I couldn't give less of a *filtered* about. Being optimized is ruining Diablo for me.) I skipped a lot of that here cos the article was already getting really big. They can make leapquake style builds work with simple legendaries as well. You just dont add the 1283721837218732817% damage bonus and slap the earthquake on leap effect on 1 legendary (maybe even have it reduce eq damage for balance) and voila, it opens up 5 slots for additional legendary fun and build making. I mean look, i TOTALLY understand why sets are a thing. Balancing this amount of abilities is a NIGHTMARE, but I'd rather have an unbalanced game with many options, than a balanced one with few. It is the godamn Leaderboards. People care about that way too much. D2 was an unbalanced mess, but it was fun as heck. Balancing this amount of abilities is a NIGHTMARE, but I'd rather have an unbalanced game with many options, than a balanced one with few. It was just fun to create your own builds of which some blew away Blizzard's expectations of what numbers would show up in D2. In D3 things are much more "tight" in terms of what you can do. Take the Twister sword for example in D3; people figured out a way to keep the stacks rolling and blizzard says "hey, that's cool and all, but we're going to cap the amount of stacks you can have now to 5". I understand why they do it (leaderboards) but it goes to show that Blizzard clearly doesn't want you to exceed any of their expectations by X Y or Z margins, they'll just cut it right down. The leaderboards thing is also just a red herring imo. It's really easy to just make them a separate mode aka you just "ban" powerful items from them or you can choose to play "non leaderboards" mode at char creation (like 99% of people would chose non leaderboard) and then you don't have to nerf anything in that one. Sure that makes for a mess in terms of same items with different stats and abiltities but so what. What really needs to be done is add a few new characters to the game. We have so many builds but no new characters in the game,that's what Blizzard need to do and maybe the game will become fun again,also they need to add is a few more lvls of torment. Season 16 has been incredible, even though yet again the WW barb was very weak. Sadly, Season 17 looks even worse for the WW barb. Losing the RoRG will mean bye-bye hexing pants (or swamp waders) so less damage and no LoN option for WW (the sword set is absolutely required for WW, and the Wastes armor set is pretty close as well). As someone who has loved WW barb since D2, it is a bummer that this iconic and amazingly fun build/character continues to be ignored and left so weak and cruddy.